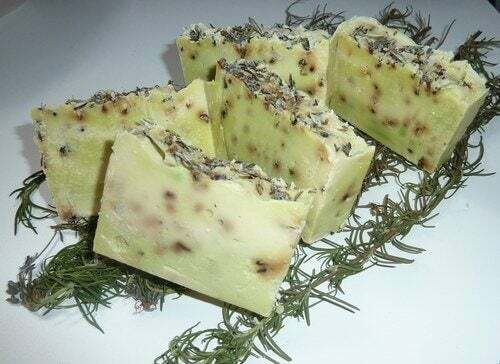 Homemade rosemary soap is perfect for caring for the skin and preventing premature aging, in addition to treating inflamed joints or infected wounds. If you like natural beauty products, rosemary soap can become one of your best resources. 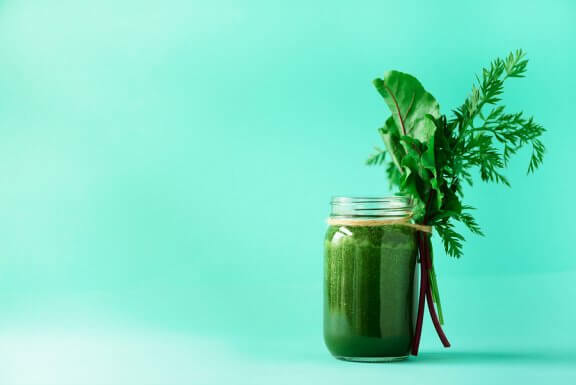 According to Dr Naciye Erkan from the Food Chemistry Journal, it has antioxidant, anti-inflammatory, and antibacterial properties that are ideal for oily skin. Rosemary soap is easy to make, as long as you do so with the proper safety precautions. 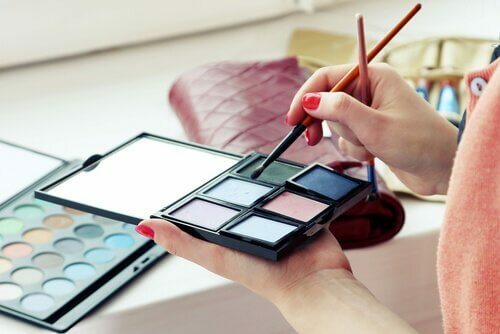 The steps are very easy to follow, and with the ingredients we’ll share with you and a little patience, you’ll have an exceptional beauty product. Don’t forget that rosemary (Rosmarinus officinalis) is one of those herbs that’s used by the medical industry to reduce inflammation, irritation and infection. In fact, a study from 2015 published in the International Journal of Food Science and Technology, found that rosemary extract exhibits high anti-inflammatory activity and provides grounds to prevent inflammatory diseases. Finally, in manufacturing, “rosemary oil is used as a component in soaps and perfumes” (WebMd). It will be very useful for your everyday life, both for you and the other members of your family. Here’s how to make it. When making soap, it’s important to remember that you need to follow a series of basic safety precautions. You’ll be handling caustic soda. So to avoid splashing it on your skin or even breathing in the vapors, it’s a good idea to wear gloves and a face mask. The process itself isn’t dangerous and it has been used for generations, but it’s always good to be cautious. Let’s find out what you’ll need to make this rosemary soap. The first thing you’re going to make is the tea. It will be very useful because this way you ensure that your rosemary soap is effective in cleansing and caring for oily skin. Bring the water to boiling point and add one tablespoon of dried rosemary. Let this simmer for a few minutes, then remove the rosemary and save the liquid. The second step is more delicate but equally simple. You’re going to add the caustic soda to the plastic container. Please do not forget to wear gloves and a mask because as you know, this product is abrasive. Remember to always work with caustic soda in an open space (a balcony, terrace, or garden…) to avoid inhaling the fumes. Next you’ll add the rosemary tea you made to the caustic soda. Do this very slowly to keep it from splashing. Note that when you mix these two ingredients together it will also cause vapors. Let the mixture cool down for at least 15 minutes. The mixture must be cool so that little by little you can add more ingredients. After 15 minutes, you’re ready to add the two cups of olive oil. It should be warm. Add it very slowly, still using the safety precautions. Let it cool again. Then you’ll add the tea tree essential oil. Remember that it is always good to allow the mixture to cool down so that the essential oils will maintain all their properties. To speed up the process and get a homogeneous mixture, you can beat it with a mixer on low speed. Place it in the center of the bowl and don’t do anything else. Let it blend calmly and carefully. When you see that the ingredients are becoming thick, like mayonnaise, add the remaining dried rosemary (to produce an exfoliating effect). You’re almost there! Finally, pour this mixture into soap molds. A trick of the trade! : add a few sprigs of rosemary to the molds beforehand to make it easier to remove the soap. To prevent any bubbles from forming, once you’ve filled the molds you can give them a little tap to get the air out. Next step? Be patient. Let it sit for six weeks before you use it. When the soap is ready, you can use it as part of your daily beauty ritual. This rosemary soap is also very suitable for infected wounds, inflamed joints, or even when preventing premature aging of the skin. One aspect that you shouldn’t overlook: never use this soap to wash your intimate areas. We hope you found this article useful! For more information on rosemary read below.